Dr. Sarah Sutton is an infectious disease physician at Northwestern Memorial Hospital and an associate professor at Northwestern University Feinberg School of Medicine. Her medical degree is from Loyola University Stritch School of Medicine, her Internal Medicine/Pediatrics residency is from University of Michigan, Ann Arbor, and her Fellowship in Adult and Pediatric Infectious Diseases is from University of Illinois and The University of Chicago. 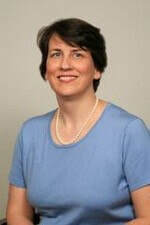 She has been a member of the NMH Antimicrobial Stewardship Program since 2002 and the medical director since 2010. She is honored to work with the NMH and NM System community of health care workers. She believes that by working and learning together we can decrease antibiotic overuse, thereby improving the safety of our patients.